Want to craft your career in the international food industry? Here is your chance to win a trip to Singapore to learn more about this world! The Faculties of Engineering and Science and the Monash Business School are inviting you to apply for this unique project-based internship where you will have the opportunity to work with Monash Food Innovation - Australia’s leading capability in Food Innovation, and be part of an international collaboration project. 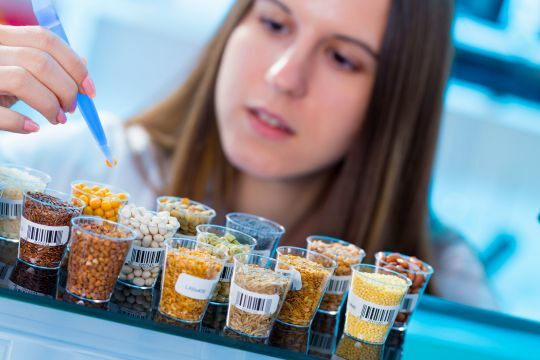 Monash Food Innovation is working with Enterprise Singapore and the Victorian Government to introduce a pilot food innovation challenge to develop food products for the Australian and New Zealand market. So get involved in this amazing opportunity to gain invaluable insights into the ANZ food market as well as expanding your professional network along the way! If you are currently undertaking any of the following degrees, you may be eligible to apply. For students completing WIL under the Business Faculty, please check your eligibility here. For students completing WIL under the Science Faculty, please check your eligibility here. You’ll spend a total of 20 days during Semester 2, including a five-day bootcamp* during the semester break, to go through a series of workshops and finally pitch your ideas to a panel of judges. *You must be available to take part in the five-day bootcamp between 30th September to 4th October 2019 on campus. You will receive six credit points upon completion of the 20 days/144 hours of contact hours. Under the guidance of Monash Food Innovation, you will work in a team to solve an industry-based challenge that would help the Victorian Government and Enterprise Singapore to unlock commercial opportunities for the ANZ market. ^This WIL internship is unpaid. Monash does not ask any host to provide payment to students. The winning team will be awarded with an (expense paid) industry familiarisation visit to Singapore! ** Submit your application today! **More competition details to come. Terms and conditions apply. Application closes 13th May 2019. Limited places are available. Don’t miss out on this tantalising opportunity!